Here at YNot Web, we’ve been watching the ebb and flow of online marketing opportunities since 2003. One such option is through Bing Ads. Through the years we have seen this venue increase and decrease its reach. Currently, Bing is on an upward trend, with nearly a third of the search share. Professionally, we have seen certain client industries thrive with the inclusion of a PPC campaign through Bing Ads. 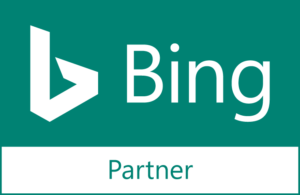 As one of the tools in our online marketing toolbox, we are pleased to now be listed as an official Bing Partner.